Malurus melanocephalus Latham, 1801, central coast of New South Wales, Australia. Two subspecies. English: Red-backed wren; French: Merion a dos rouge; German: Rotrücken-Staffelschwanz; Spanish: Ratona Australiana de Lomo Rojo. PHYSICAL CHARACTERISTICS 5.7 in (14.5 cm); female 0.18-0.35 oz (5.0-10.0 g), male 0.21-0.35 oz (6.0-10.0 g). Breeding males are black with a bright red back. Nonbreeding males, females, and young drab brownish above, buff below. Mostly tropical and along coastal belt. 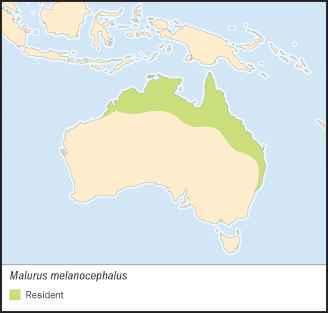 M. m. cruentatus across northern Australia; M. m. melanocephalus in northeastern Australia. Tropical swamps, samphire flats, and woodlands with extensive grassy cover on coastal plains and adjacent mountains. Locally nomadic in nonbreeding season as preferred habitat of seasonal grass is subject to frequent fires; grazing and fires may inhibit formation of permanent territories. Forage mainly by gleaning a broad spectrum of invertebrates from grass, leaves and twigs, but do take some fruit and seeds. Hop-search on open ground and hawk flying insect prey. Territorial, cooperative breeders, but social system not well-understood. Female builds oval domed grass nest. Incubation is by the female for 13-14 days; fledging in 10-11 days. Not threatened. 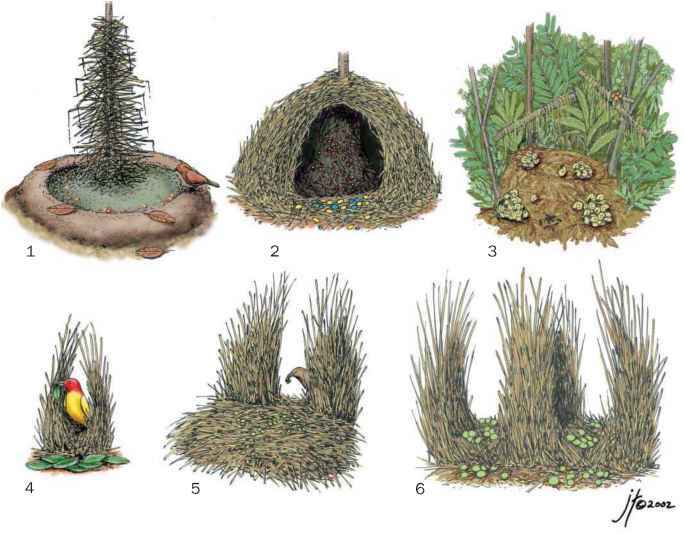 Human habitat alteration may have actually increased available grassy habitat for this species.